Excalibur Publishing hopes you'll leave your real world cares behind to sit down and run a virtual garbage business. Stealing a garbage truck in Grand Theft Auto never felt quite right to me. Sure, you could plow through anything you wanted, but what about those of us that wanted to stop every 10 feet, pick up garbage, repeat a few hundred times, and then slowly hightail it back to the dump to get paid? Thanks to Excalibur Publishing's Garbage Truck Simulator 2011, now we can get that true garbage truck experience many of us desire. 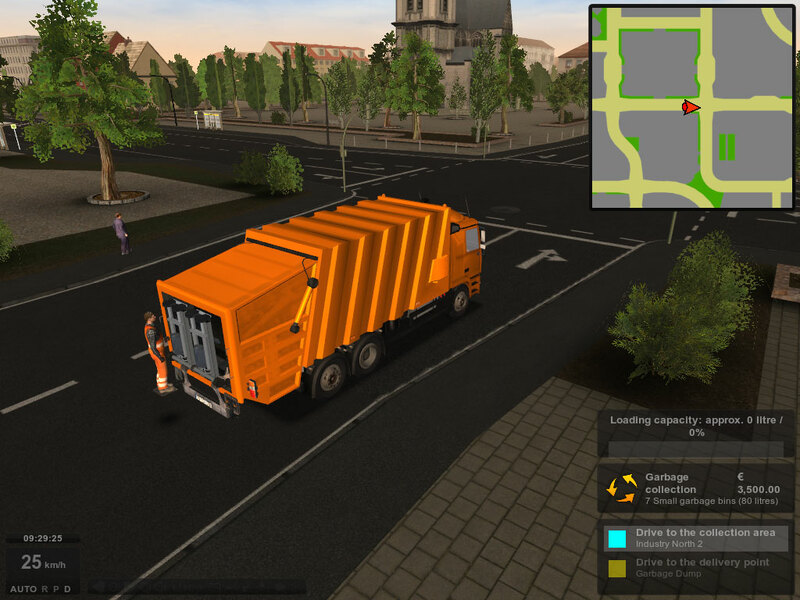 Garbage Truck Simulator 2011 allows players to run their own refuse business in a fully 3D European city. 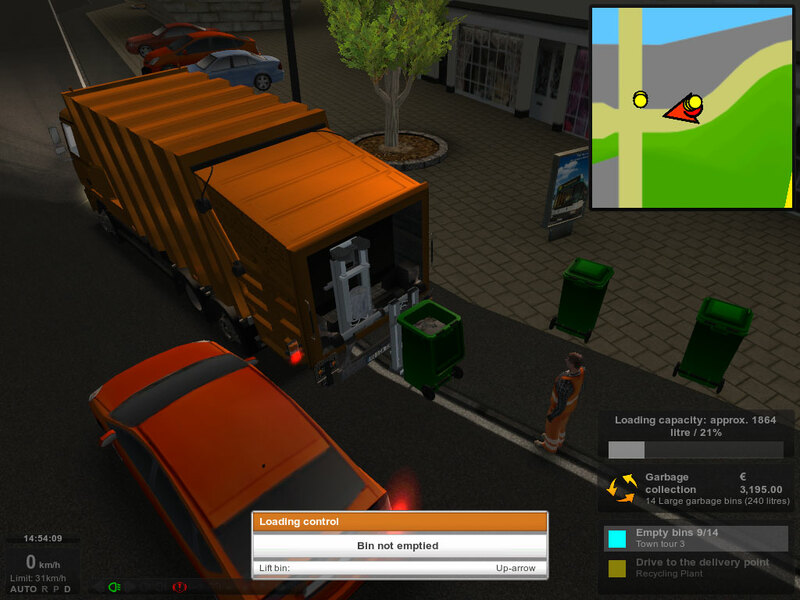 You'll drive a realistic garbage truck on a garbage route, stopping to empty trash cans into the truck, and then move on to the next stop. Riveting, no? Don't hate on it too much, because Excalibur is putting in more than just driving around to keep Garbage Truck Simulator 2011 exciting. Players can upgrade 5 different styles of trucks as they accumulate cash. Ignoring rules of the road, such as red lights, will lead to tickets, while players also have to watch out for police speed traps and accidents. Every dent and ding will lead to a repair cost. 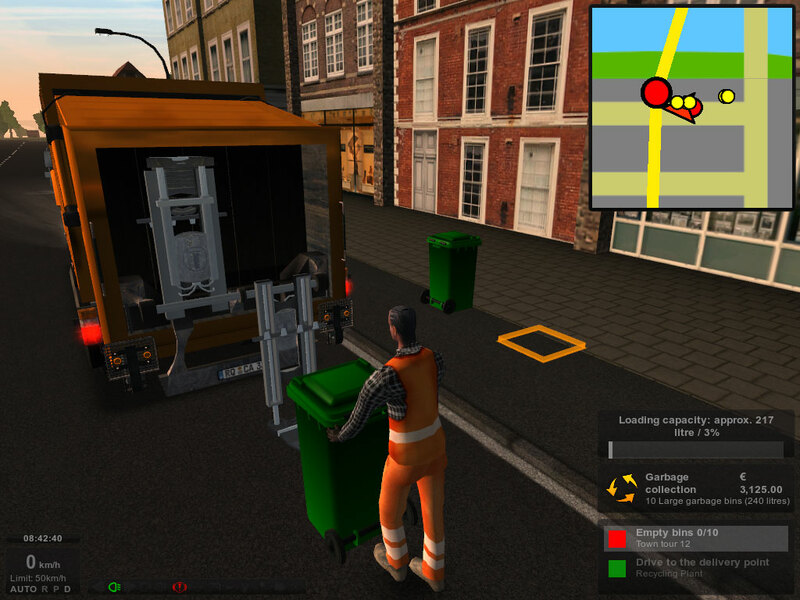 Garbage Truck Simulator 2011 gives you direct control over your garbage collection crews, allowing you to "operate the intricately animated mechanisms for emptying and compressing your load into the back of the truck." I'm sold. Players have to manage various kinds of waste too, from domestic to industrial to toxic. 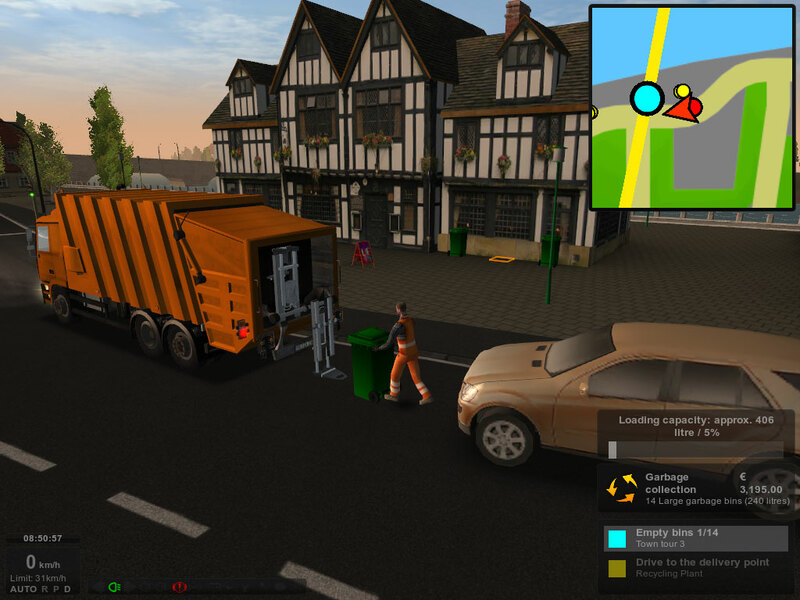 I know a game where you drive a garbage truck and have to wait for red lights sounds like it shouldn't be appealing, but there's something about these realistic simulators that makes me want to play them... or at least try them. I'm just wondering how deep this game actually goes. Can you accidentally spill chemicals on your collection crews, or on innocent civilians? Can you toss the garbage cans into someone's flower bed or crash through a house to get a game over? What we really need is a game like this, but with a little fun added. 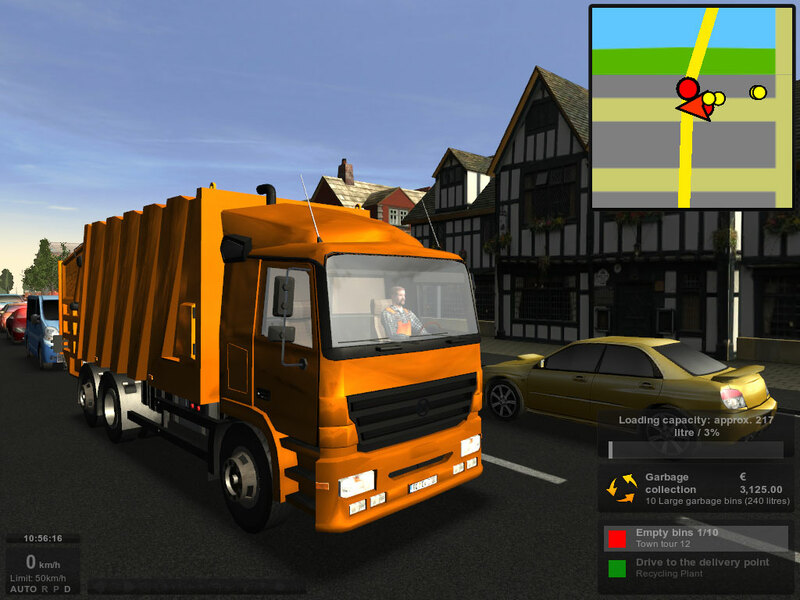 Garbage Truck Simulator 2011 will be available in the UK on May 20, 2011 for Â£24.99, while supplies last.